Born Winifred Shaughnessy (later legally changed to Winifred Hudnut) on this day in 1897, Natacha Rambova was famous as a silent film costume and set designer. She also dabbled in acting, writing and producing. 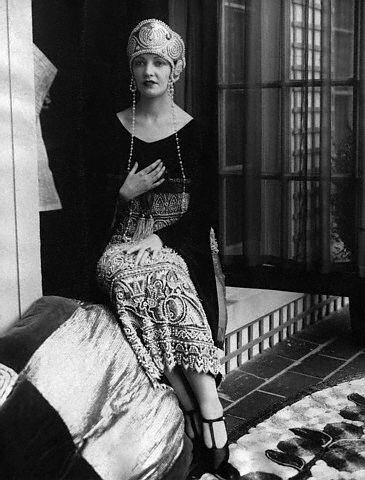 However, she is most famous for being heartthrob Rudolph Valentino’s second wife. She passed away in Pasadena of a heart attack on June 5, 1966 at the age of 69.